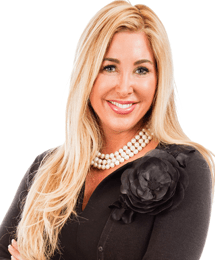 Megan Morris is the founder and CEO of MHM Professional Staging, LLC, an acclaimed staging, event planning and design company in Orlando, and has worked in home staging and design for the past 10 years. In this capacity, she has been responsible for promoting business, managing a team of employees, monitoring projects and customizing client needs on an ongoing basis. Her expertise in visual displays and space planning has been recognized and honored in several design competitions and she has been hired as the lead set decorator for several TV commercials. She has also been featured on FOX News, CNN, MSNBC, HGTV, Bravo and CNBC and appeared on radio and television as an expert in her field. Her exclusive event company specializes in providing top quality, unique event experiences for her clients. Past clients include The Orlando Convention Center, celebrities, professional athletes, fortune 500 companies and even international royalty. She was a partner in the launch of the Christian Audigier golf line. Megan worked on promotions for fashion shows for the opening of the Chanel store in Orlando, Gucci, Neiman Marcus and Saks. In addition to the staging company, she has been involved in several real estate projects where she has been an integral part in its profitability. Her responsibilities included insuring the highest profit margins, meeting deadlines, working closely with vendors to reduce costs, monitoring shipments while promoting environmentalism and overseeing quality control. Her background also includes marketing and merchandizing when she worked for several department store chains including Nordstrom, Macys and Polo. Earlier in her career she was in fashion design and even had a product line of her own. Megan is a member of NAWIC, National Association of Women in Business and National Association of Women Business Owners, as well as the National Academy of Best-Selling Authors. Two other books that Megan contributed on, TrendSetters and Sold! were featured on several best-seller lists within the first month of sales.